What kind of leaf symbolizes St. Patrick’s Day? A clover? Shamrock? Both? Some people are sure it’s a clover, but others argue that it’s a shamrock. Others may say it doesn’t matter because both are the same anyway. Are they really the same? If you are not Irish, and you are just as confused as some people are, you are in the right place. In this article, the difference between a shamrock and clover will be discussed. The term shamrock is derived from the Gaelic word seamrog which means “little clover.” It is famous as a symbol of Ireland. 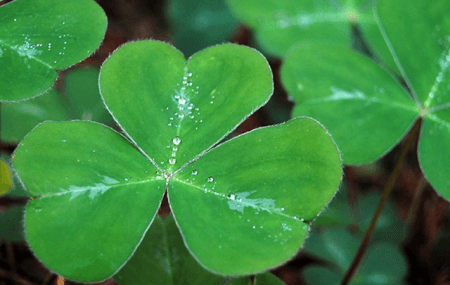 St. Patrick believed that the three tiny leaves represent the Holy Trinity, which it is all over the place on St. Patrick’s Day. On the other hand, clover or “trefoil” is a common term that refers to any of the 300 species that belongs to the Trifolium family. Trifolium plants like the red clover, white clover, Swedish clover, strawberry clover, and Alsatian clover are small, green, flower-bearing, and herbaceous. They can be short-lived, perennial, or annual. 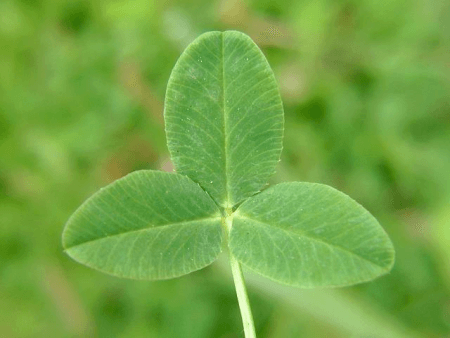 A clover is trifoliate, which means the leaves are subdivided into three toothed leaflets, although four-leaf, five-leaf, and six-leaf clovers can be occasionally found due to a natural genetic mutation. It is believed that there is only one four-leaf clover in a hundred thousand three-leaf clovers, which is why it is widely accepted as a symbol of luck. Some people also believe four-leaf clovers represents faith, hope, love, and luck. What, then, is the difference between a shamrock and a clover? “Clover” is a generic term that refers to trefoils, or any of the 300 species that belong to the Trifolium family. These plants have leaves that are separated into three leaflets, but you may find four-leaf, five-leaf or even six-leaf clovers as a genetic abnormality. “Shamrock,” on the other hand, means “little clover” and is used to refer to the white clover species or the suckling clover species. It is also the symbol of Ireland and St. Patrick’s Day. In conclusion, shamrocks are clovers, but not all clovers are shamrocks. So, that green leaf you see on St. Patrick’s Day? It’s a shamrock and a clover.